Post subject: How to add pages to Members Area? Just wondering how to add special pages to the Members Area extra. And I have totally no idea how to add pages. Can anyone help me? 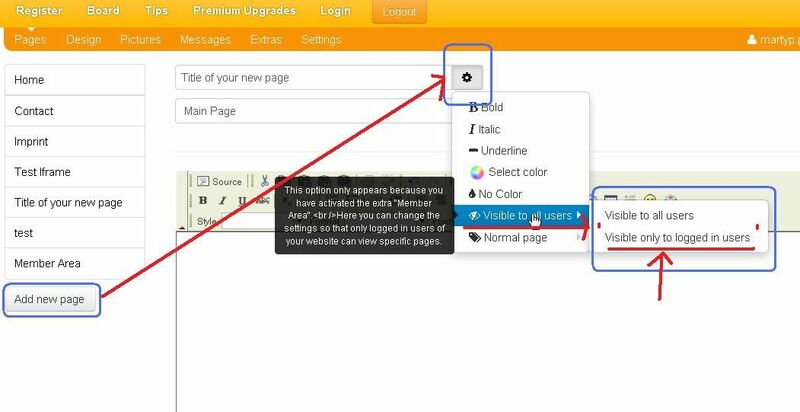 if the extra is already active, go to the section "Pages"=> add a new page, then select the option "visible only to login in users" and save. The edition of the hidden pages are similar to the other "normal pages".